Olive oil is a staple in our cupboards, it's one of the healthiest oils to cook with. Olive Oil is the natural oil obtained from olives, it has Monosaturated Fats, has antiflammatory properties and is thought to help prevent strokes and protect against Heart Disease. There is nothing more that I love than dipping warm crusty bread into olive oil, or making a quick and easy pesto. I've even tried olive oil ice cream, I'm not going to lie it wasn't to my liking. however, it shows there is so much more you can use olive oil for. Not only do I use olive oil to cook with, I also use it on my body. It's great for removing make up with, used as part of a homemade hair mask/conditioner and moisturising cuticles.Some people drink a teaspoon in the morning as a tonic! Jamie's Italian has created a really helpful infographic, which makes it so much easier to know which type of olive oil to pick whilst out shopping. 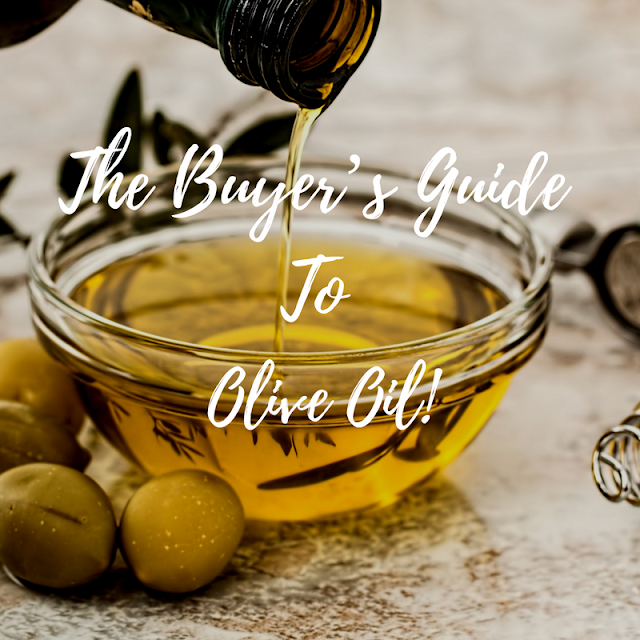 If you have visited one of Jamie Oliver's restaurants you will know he knows what he is talking about when it comes to olive oil. Check it out below!